One of the most pleasant ways of traveling around Sri Lanka is by train. Sri Lanka is a small country so you don't have to worry about overnight sleepers as in India and booking the train is a dream. Just show up at the station a few minutes before your departure, buy a second class ticket and you are off! 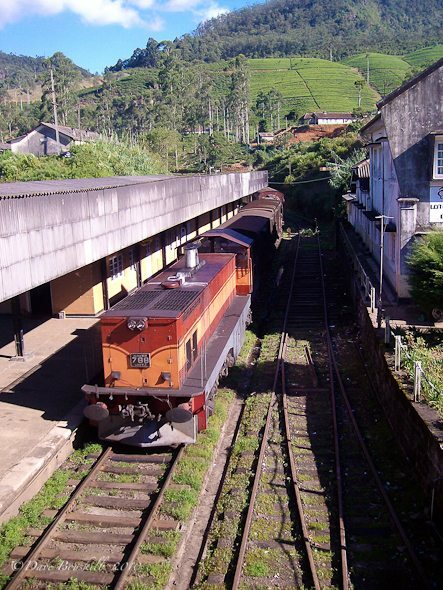 The trains move slowly in Sri Lanka and you will be happy to enjoy the scenery of life as you pass. 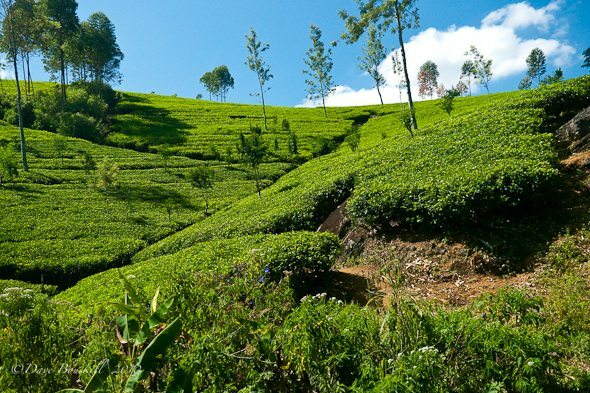 Especially in the mountains and high country near Ella, Nuwara Eliya and Hatton. 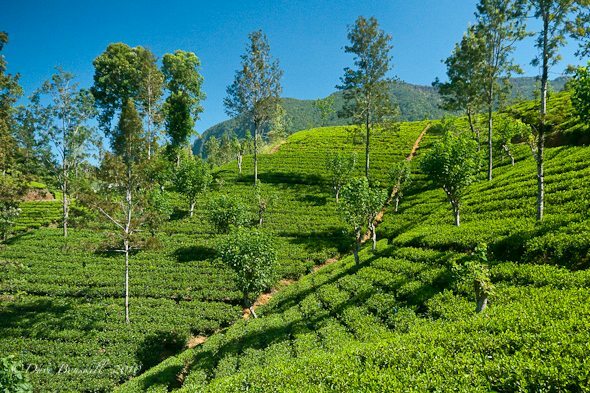 It chugs slowly along through Tea Plantations, dense forest and spectacular mountain Vistas. It is important to know where to sit on the train. They fill up quickly and if you are on the wrong side, you may be stuck looking at a wall of high cliffs rather than deep valleys and blue skies. Talk to other travelers that have just arrived by train and find out what side of the train to sit on for the best view. The train is always packed in all of Sri Lanka and if you aren't quick to find a seat, you may be stuck in standing room only. People hang out the door and windows and at times I am amazed that more people haven't fallen out or had their heads taken off by a rock or tree branch. But they have traveled this route for years and probably know every twist and turn. Plus the slow moving train makes you feel as if you are safe to hang off the side, not that Dave and I attempted the open concept of train travel. 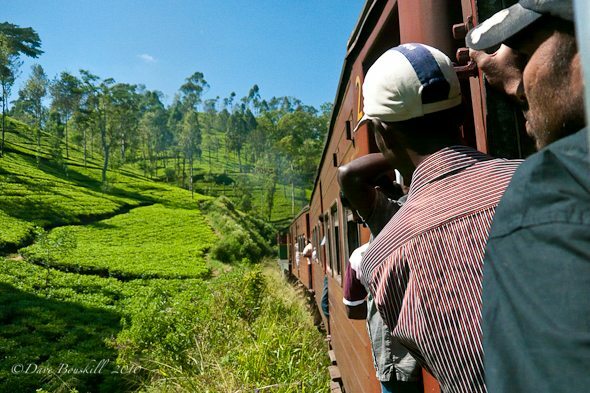 Check out this video of just how relaxed the train travel is in Sri Lanka. I have yet to see a train captain come through to check tickets and between second class and general seating there seems to be little difference other than the seats. The crowds can be the same in both. We even we ended up in general class once enjoying an open plot of floor by the window. We had second class tickets, but it was so crowded, general seating ended up being more comfortable. Train travel in Sri Lanka is very relaxed. Men walk through with snacks and drinks and people chat like it is Sunday afternoon tea. Sri Lankan trains run as they have for 50 years. The trains haven't changed since the colonial days of the British. Stations are spotless and adorable. They are old Victorian structures that still tell passengers if their train is on time by using wooden tiles that hang on the schedule post. Tickets are sold at the single window and you are given a stub which must be returned at the end of your journey. Conductors walk the platform followed by the resident dog, and even the bathrooms are spotless with signs separating ladies and gents in second and general class. I don't think a person would have a care in the world if a general ticket holder walked into the second class ticket room. 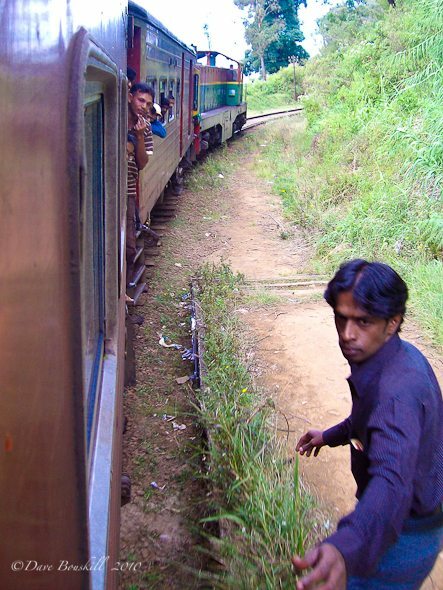 We really enjoy riding trains in Sri Lanka. People are helpful when you try to find your stop and are very friendly. The asked us questions like where are we from and do we love Sri Lanka. They enjoyed the conversations as much as we did. Some trains have an observation car at the back of the train. This is a beautiful way to travel in total comfort and take in the view without the crowds. 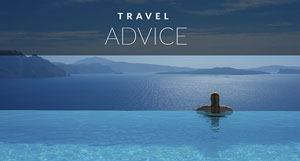 You must book these cars well in advance, however, so know your travel schedule well. Trains are cheap in Sri Lanka tickets can range from less than 100 Rs to up to 700 Rs for the observation car. With 112 RS equling $1 USD that is some pretty reasonable travel at les than $7 for the most expensive ticket. Prices vary on length but you won't find anything that will break the pocket book. There are toilets on the trains and they really aren't that bad. So, if you find yourself traveling to Sri Lanka in the future, make sure to do yourself a favor and take the train around the country. 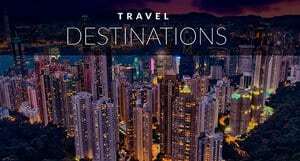 It is an amazing way to immerse yourselves with the locals and it offers spectacular views of this country filled with a rich and varied landscape. 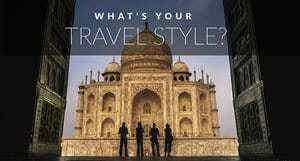 7 Responses to "Train Travel, Sri Lanka"
Yep, I agree with Shawn – Sri Lanka is looking mighty tempting! Awesome video, what beautiful countryside…..and it sounds like in general train travel is much more relaxed than in India. 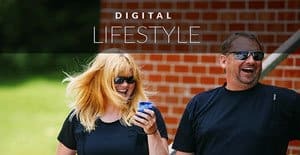 .-= Trisha Miller´s last blog ..Why are you Blogging? =-. Yes train travel is definitely relaxing in Sri Lanka and it helps that the country is much smaller so you are not on it for more than a couple of hours. Sir Lanka is looking good, a very high possibility to nest next winter. .-= Shawn´s last blog ..The Snow is Melted and a New Forum. =-. It was fantastic Shawn, highly recommended. That looks so refreshing. I guess the best place to stick your head out is towards the back so you can watch people duck their heads in just in case. .-= Anil´s last blog ..A Review Of Icelandair =-.